Many homeowners are unsure about the different options to choose from when deciding on which gutter system to install. But did you know that there are many different styles of gutter material to choose from? It is important to discover all the options available to you including galvanized steel. Galvanized steel is becoming increasingly popular due to its durability, cost-effectiveness and low maintenance. Galvanized steel is among the most durable material options when choosing a gutter system. With the addition of the galvanized steel coating, it adds another layer of protection to guard against harsh conditions during the winter and spring months. During the decision process, many homeowners weigh heavily the cost of the different gutter systems they are comparing. Galvanized steel systems are among the most cost effective because, once installed, they can last up to 20 to 30 years. This offers a great return on their investment. Galvanized steel gutters are very difficult to damage and require little maintenance. They are able to endure heavy rain, ice, sleet, and hail without showing any dents or scratches. These gutter systems also can resist water, cold, heat, and foul weather all while holding their shape and continuing to function properly. 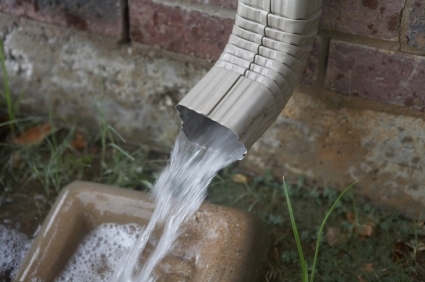 Whether you need a minor gutter repair or a complete gutter system installed, Custom Installations is here to help. We have experience working with many types of gutter materials including galvanized steel, copper and aluminum. Let our experts at Custom Installations help you make the right decision for your gutter system while addressing any of your other home exterior needs.